Professional teeth cleanings are important for keeping your whole mouth healthy, which is why you should make sure to schedule regular appointments with Dr. Spalitto’s family dentistry practice in St. Louis. A dentist like Dr. Spalitto can make sure your teeth and gums stay free of plaque. One of the most essential parts of family dentistry is simply scheduling a bi-annual visit with your dentist. Only professional teeth cleanings can effectively remove plaque and tartar where they have built up around your gumlines. While brushing twice per day and flossing each night are also important, only a dentist can use the high-powered tools necessary to get rid of plaque. If plaque is allowed to accumulate, it can lead to cavities and gum disease. Dental cleanings are also important for children, as a family dental care practitioner can provide fluoride rinses. Fluoride is vital to preserving the tooth’s hard enamel and warding off tooth decay. A dentist also examines your teeth and gums and checks your biting, chewing, and swallowing patterns to make sure they are normal. Set up a teeth cleaning today by calling Dr. Spalitto at (314) 821-2712 today. When you visit Dr. Spalitto, your dentist in St. Louis , he will screen you for an array of complications, clean your teeth, and evaluate your need for dental restorations like root canals or tooth extractions. It is important, however, to understand how to brush your teeth properly outside of the dentist’s office. Watch this video for an overview of how to brush your teeth. Brushing your teeth is the cornerstone of dental hygiene, and yet many people are misinformed about the proper techniques. Whether you use a power brush or a manual brush, you should brush your teeth twice each day. Hold your toothbrush at a 45-degree angle to your gums and gently brush away from the gums on each section of your teeth. You should spend 30 seconds on each of the 4 quadrants of your mouth. Visiting your dentist regularly is key to maintaining healthy teeth and gums. 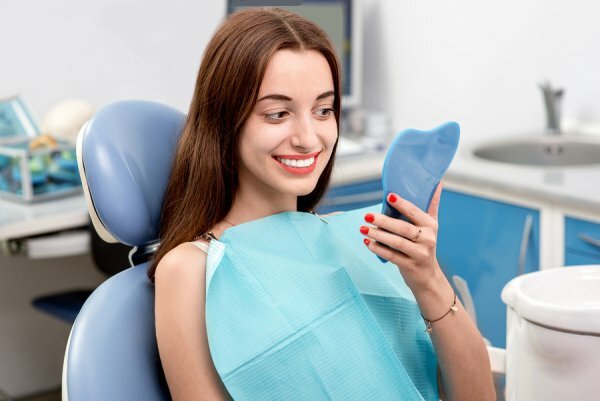 Regular dental exams and dental cleanings can help you avoid dangerous oral problems, such as periodontal disease, and will help you maintain good health and a confident smile. 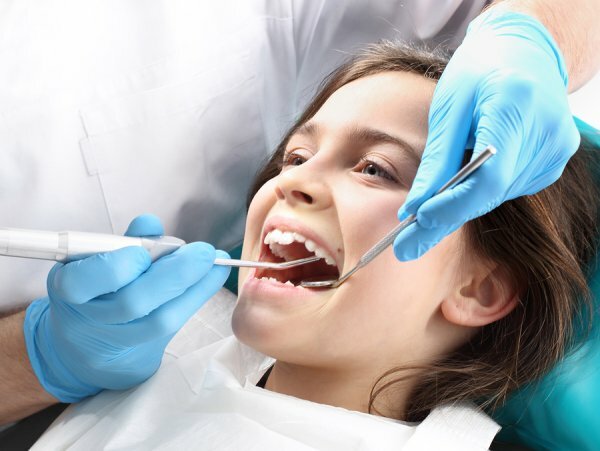 During your first dental visit, Dr. Spalitto will first examine your mouth and gums for signs of tooth decay, cavities, gum disease, and oral cancer. He may also check your jaw, face, and neck for signs of oral cancer or illness. Next, he will take dental X-rays to check the condition and health of your teeth and bones. Your dentist will also check your biting, chewing, and swallowing patterns to make sure that there are no problems. A member of his team will perform your dental cleaning. She will remove the tartar and plaque from your teeth that can lead to periodontal disease. She will also clean your teeth with toothpaste, and then polish them to remove stains. If a serious problem has been identified, such as a cavity, missing crown, or a tooth that needs to be extracted, she will let you know. Dr. Spalitto is known for being able to do same day dental implants and same day crowns.